One of the main things I love about this Rococo nail set is how cute the packaging is. The trio of nail varnishes come set within a shelved box, that pulls out to reveal the selection of shades. All of the varnishes are perfect pastels for spring, with a light peach, mint green and baby pink, Peaches, T-Cup and My Cupcake. Peaches and T-Cup both have a subtle, gorgeous golden sparkle to their finish, which makes them catch the light and glisten. 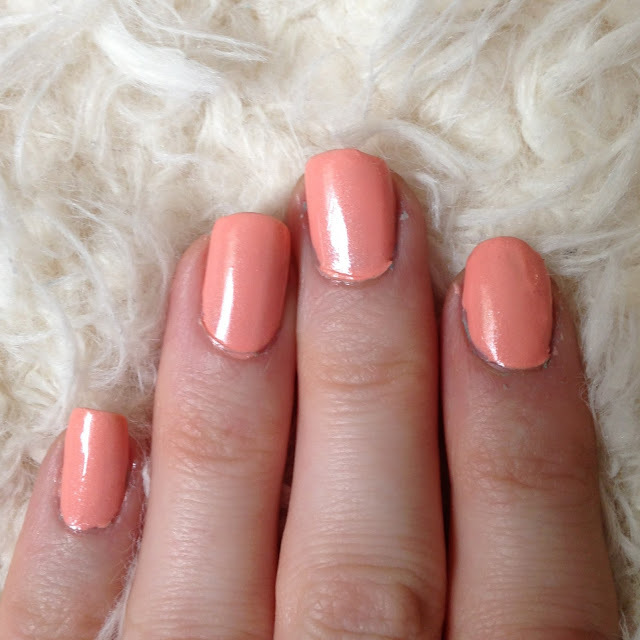 My Cupcake, the baby pastel pink shade is entirely pink and a basic pink shade to keep in your nail collection. The longevity is actually really good and after trying Peaches, it lasted on my nails really well without peeling away. Of course any nail varnish is likely to chip if you are using your hands for a number of tasks, but this one definitely stayed put for longer than the majority. I was actually quite impressed and I would say my favourite is definitely T-Cup for how subtle and cute the mint green shade is for summer. I think this would be such a lovely gift for someone and if not, a lovely treat for yourself. Have you tried any varnishes from Rococo?